Part of a coterie of bright young New York-based jazz instrumentalists keen to burst out of the idiom's self-imposed straitjacket, Halvorson has long been identified as one to watch by peers and critics alike. But this potential rallying point for the genre's next wave is, like her cohorts, decidedly indifferent about matters relating to the preservation of jazz's purity. To listen to her work with People, the avant-rock band she performs in with drummer Kevin Shea, or The Shaggs-influenced mutant chamber folk set-up she shares with violist Jessica Pavone, is to bear witness to an imagination unfettered by the weight of tradition. Even when Halvorson summons her crisp, clear-toned runs, pitch bends and brittle spidery arpeggios - echoing the combined crafts of Nels Cline, Joe Morris and Derek Bailey - in relatively conventional settings, her propensity for shape-shifting never fails to dazzle. 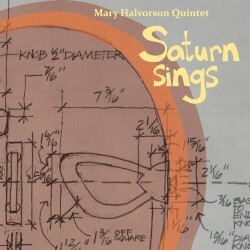 Often were the occasions during 2008's Dragon's Head set (recorded under the banner of the Mary Halvorson Trio, marking her first recording as a bandleader) where the primary reference points seemed to be the schizophrenic proto-Beefheartian stew of US Maple or the nuanced post-rock of Gastr del Sol. Pointers to a jazz heritage were seemingly being dismantled in front of us, the emancipating influence of mentor Anthony Braxton all-apparent. 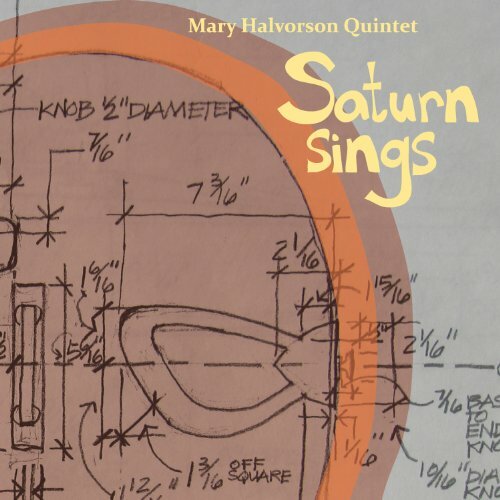 Halvorson reconvenes that same trio - with John Hebert on bass and Ches Smith on percussion - for Saturn Sings, but this time around adds a horn section. The contributions of Jonathan Finlayson (trumpet) and Jon Irabagon (alto saxophone) seem to have smoothed out some, though by no means all, of the serrated edges prevalent in its predecessor. Cuts like Mile High Like fall into a sanguine Latin groove, one of several soul-tinged curveballs that cleanse the palate preceding Halvorson's next dramatic shift of paradigm. It doesn't take long to arrive, as the following track, Sea Seizure, bludgeons with a brain-scouring shred, hooked up to a heavy dose of pulverising rhythmic pugilism. Moon Traps in Seven Rings reflects this finely judged balancing act (between soothing textures and disorientating dissonance) in microcosm, as feral squalls of six-string bluster (Hendrix was an early influence on Halvorson) penetrate bluesy brass refrains. While she may be receiving most attention for her moves located at jazz's periphery, it's the music Halvorson constructs from the form's raw materials that continue to bear the sweetest fruit.